Over the last six months and more if you checked the news from Greece in the morning it's likely you would see a report of another attack or incident involving far-right groups. Whilst sadly this is still the case recently it's become just as likely that there will be a report of another antifascist action to brighten up the morning. This has especially been the case the last few days. 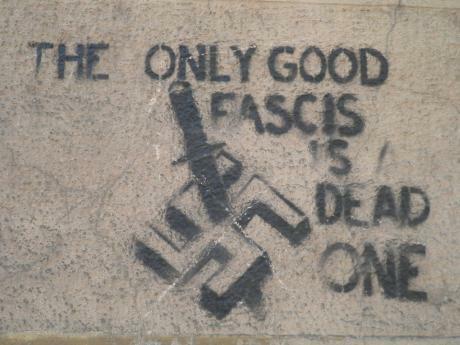 This coming Saturday(24th) will see another antifascist demonstration in Athens. For the last months almost every day there has been an antifascist/anti-racist action or demonstration somewhere in Greece. Almost every neighbourhood of Athens has seen demonstrations or actions against Golden Dawn and fascism in the last few months and it's not unusual for there to be demonstrations of hundreds or thousands going on in two or three neighbourhoods at the same time.